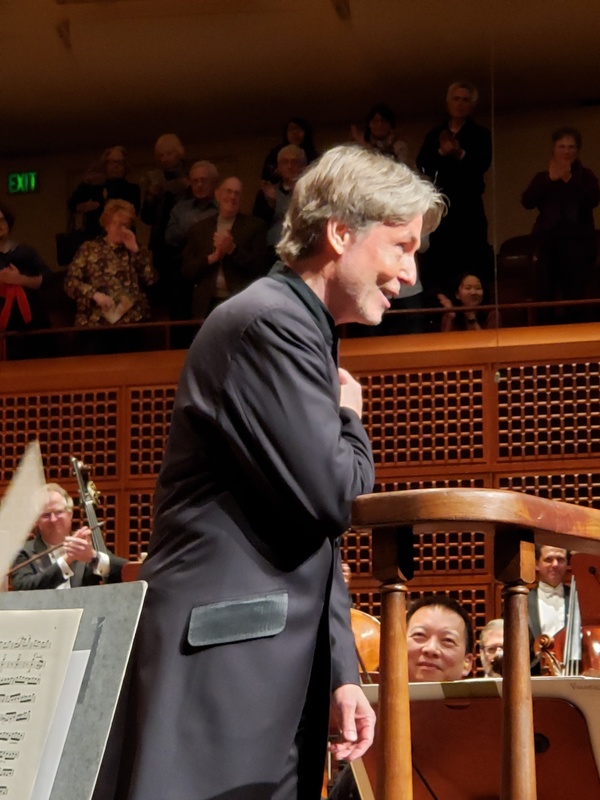 What great fortune to have a front row seat last night at Esa-Pekka Solonen’s inaugural concert as San Francisco Symphony’s new music director designate. 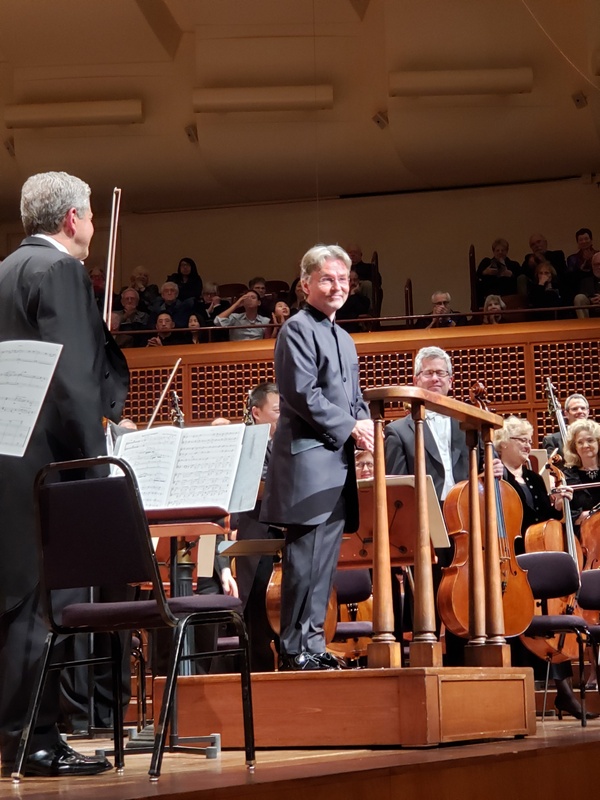 Davies Symphony Hall was packed and the audience was excited, rapturous, rising to their feet several times to applaud the 60-year-old Finn who will take the helm as SFS’s Music Director in September 2020. 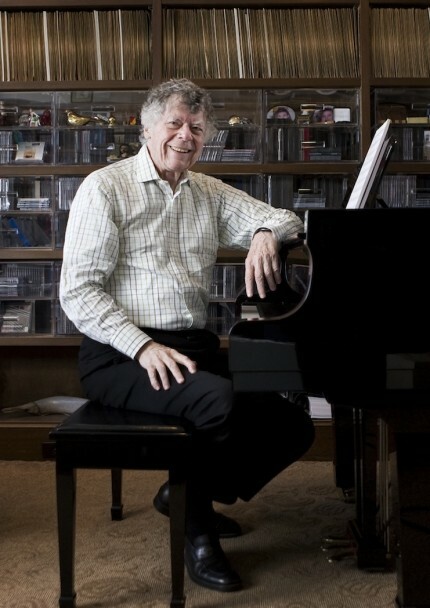 He succeeds MTT (Michael Tilson Thomas) who, in 2020, will have been at the helm for a quarter of a century. What a wonderful way to start things off with Icelandic composer Anna Thorvaldsdottir’s mysterious tonal poem METACOSMOS, composed in 2017. It stuck just the right tone with an audience eager to hear something that had obvious meaning to Salonen and ready to embrace a female composer, which we haven’t had much of at Davies of late. METACOSMOS had a Nordic feel and was both modern and romantic, taking us on a short speculative journey down into a deep dark hole, the murky unknown of the consciousness, where epic battles ensue between forces of light and darkness. It was followed by Also sprach Zarathustra, Richard Strauss’ grand tonal poem, from 1864, which was inspired by Nietzsche’s ideas about the course of humankind. With moments of emblazoned flare, EPS coaxed a glorious sound from SFS. Sitting just feet from his podium, I caught the fluidity and grace of his hands as well as the serenity in his face. This is a man who is expressive, passionate, and in deep conversation with his musicians and his heart. Musically, he knows exactly what he’s doing and it comes across in every gesture. The evening closed with Sibelius’ Four Legends from the Kalevala, another tonal masterpiece, from 1895, which weaves the powerful Finnish epic Kalevala myth into four movements. Again, a multi-sensory piece with wonderful contrasts and rich melodies, showcasing various sections of the orchestra throughout. English horn player Russ deLuna and cellist Peter Wyrick were on fire. What a journey we have ahead. Experiencing the magic in person will cement memories for years to come. There are several spine-tingling moments in the 16th century court composer Thomas Tallis’ devotional choral work “Spem in Alium” which expresses man’s hope and trust in the Lord. 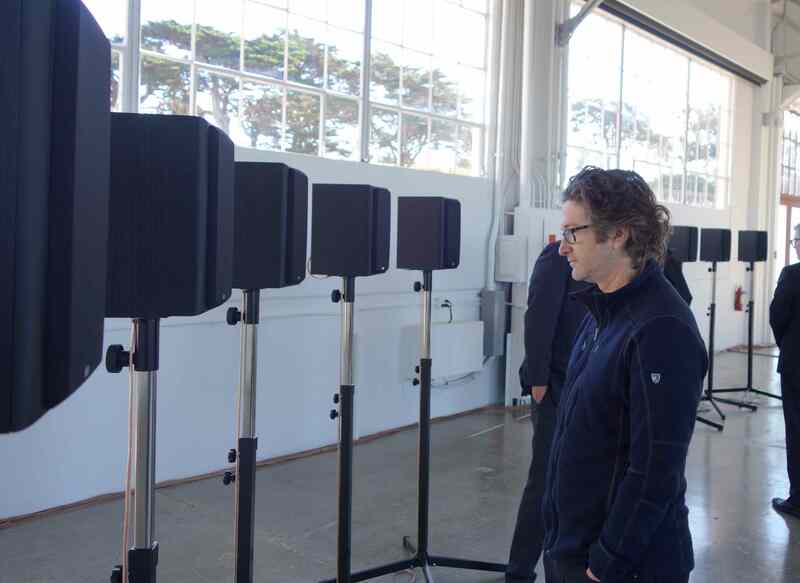 Canadian sound artist Janet Cardiff’s immersive sound installation, “The Forty Part Motet,” quite literally teases them out. Forty speakers on six-foot tall stands are arranged in an oval. Visitors can walk throughout the installation and hear the individual unaccompanied voices─bass, baritone, alto, tenor and child soprano─one part per loudspeaker─ of 40 choir singers, who were recorded in England’s Salisbury Cathedral as well as the melded symphony of choral sounds, altogether creating a transcendent experience. 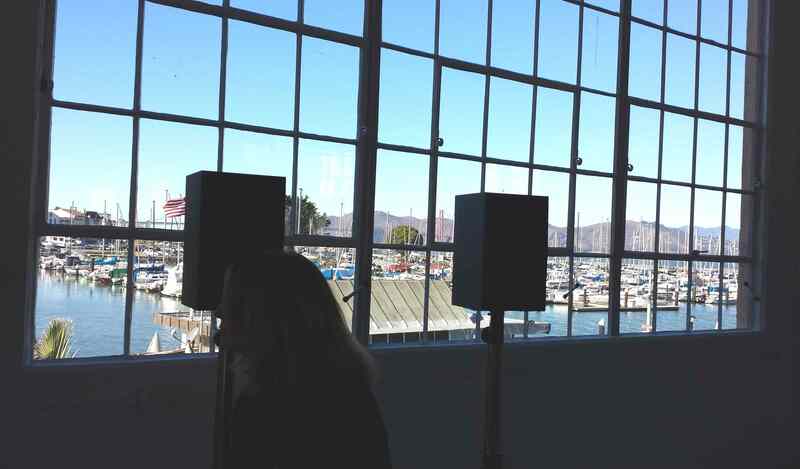 Last Thursday, installation was unveiled at Fort Mason Center’s new Gallery 308, making it the space’s inaugural exhibition and first time the installation has been shown in California. Cardiff’s exquisite layering of the voices creates a profound and intimate experience even within a public space. I can’t recall the last time I slowed down enough to be still and quiet for any significant length of time. As I took in the music, the hairs rose on my arms and tears welled. I stayed for four playings. ( The 14-minute piece is a continuous audio loop, comprised of 11 minutes of singing and a three minute interlude.) With the horror that unfolded in Paris over the weekend and uncertainty about what might follow, and the march of the pending holidays, centering oneself in this immersive musical experience is nurturing and healing. I can’t wait to go back. Cardiff’s contemporary re-working of this classic was created 14 years ago, in 2001 and the piece has since travelled the world. Cardiff originally studied photography and print-making before experimenting with sound and moving image. She grabbed the attention of the art world in the mid-1990s with her site-specific works which explored the sculptural and physical attributes of sound and often had actual physical impacts on the viewers. Born in Canada, she currently lives in rural British Columbia, and works in collaboration with her husband and partner, George Bures Miller. Cardiff and Miller’s pivotal moment came in 2001, when they represented Canada at the 49th Venice Biennale and won the Biennale’s Premio Prize and Benesse Prize. Their artwork was “Paradise Institute” which recreated a 16 seat movie theatre and entangled viewers so that they became witnesses to a possible crime playing out on screen and within the audience─an idea that was cutting edge at the time. 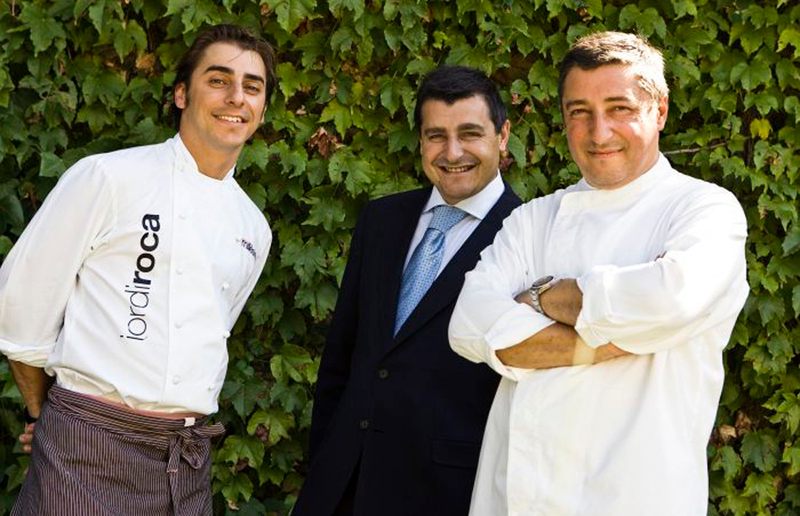 The couple’s work has been included top-tier exhibitions and biennales ever since. Recently, they participated in Soundscapes at London’s National Gallery, the 19th Biennale of Sydney in 2014, and dOCUMENTA (13). 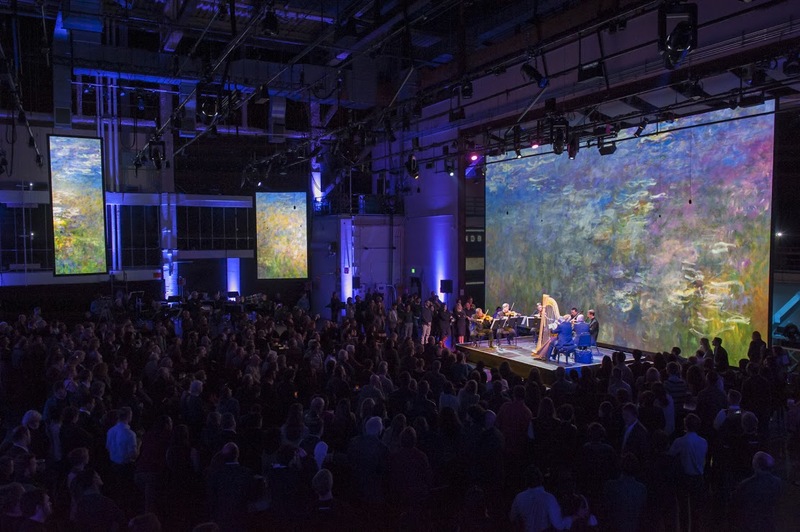 “The Forty Part Motet’s” appearance in San Francisco marks a pivotal time for its two co-presentors─Fort Mason Center and SFMOMA (San Francisco Museum of Modern Art). It marks a new beginning for Gallery 308, which is a gorgeous light-filled 4,000 square-foot gallery space with views of the San Francisco Bay and the Marin neighborhood. The space originally housed Fort Mason’s maritime trade and repair shops and its three-year renovation was undertaken by Jensen Architects, the creators of SFMOMA’s acclaimed roof-top garden. Other changes are in the air at Fort Mason Center too. The San Francisco Art Institute, which currently has campuses in Russian Hill and Dogpatch, is moving to Pier 2 and will start construction there next year. FLAX art and design store recently opened a 5,000-square-foot store in Building D, after losing their space downtown. 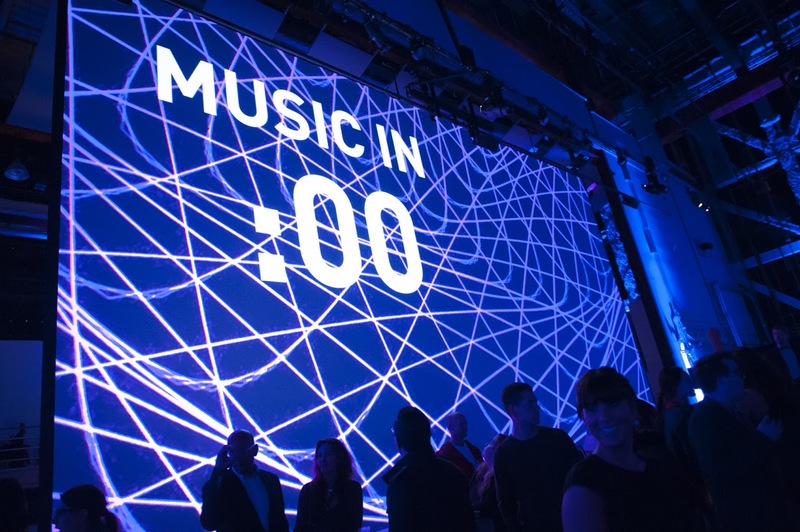 Cardiff’s installation marks the grand finale for SFMOMA’s On the Go programming—the museum’s dynamic off-site art events while its building is closed for expansion construction. 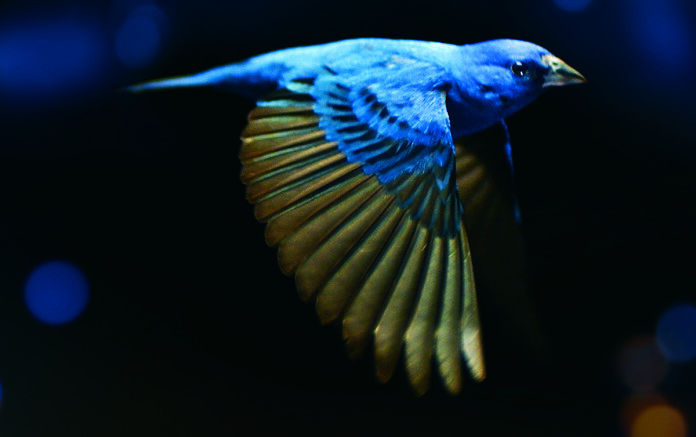 (Click here to read about SFMOMA’s 2013 collaboration with the Sonoma County Museum.) The new SFMOMA will open in spring 2016. Cardiff’s installation is actually on loan from Napa collectors Pamela and Richard Kramlich’s world-renowned holdings of video and media art. 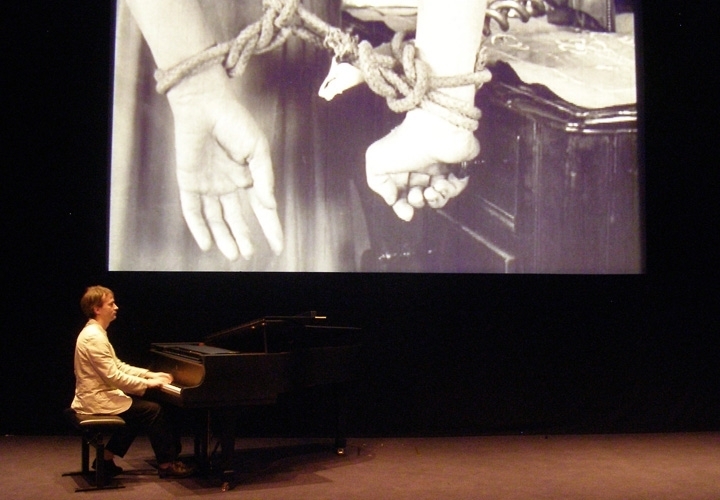 Rudolf Frieling, curator of media arts at SFMOMA was pivotal in orchestrating the loan. 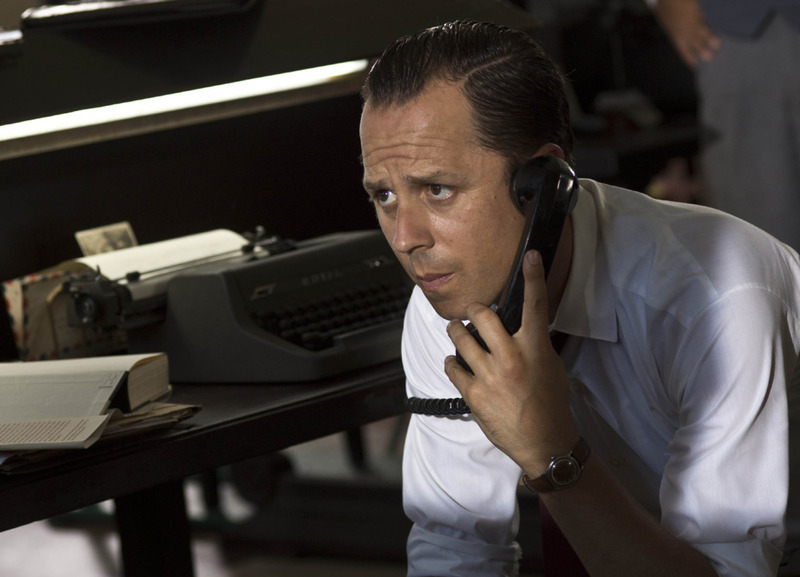 Cardiff’s solo works have long been a part of SFMOMA’s collection and the museum additionally commissioned two audio and video works by Cardiff: Chiaroscuro 1 (1997), made for the exhibition Present Tense: Nine Artists in the Nineties; and The Telephone Call (2001), featured in 010101: Art in Technological Times. You’ve installed this work in so many spaces now, from those that are overtly spiritual to those that much more secular; what is special about this space here in San Francisco, set against the backdrop of the Bay? Is this a spiritual artwork? Janet Cardiff─Oh yes, Thomas Tallis most definitely wrote this for that purpose with words like “I put all my faith in you, my Lord.” When he was writing, he was very aware of the voices going up into the cathedrals like angel voices. It’s inspired me in many ways, on many levels. I’ve learned so much about absence and presence. Every single speaker is an individual recording of a singer, so each speaker in the space becomes that person. The choir was recorded singing together in a room but the singers were spaced apart and every singer had a microphone. So, it does become very anthropomorphic and a virtual representation of those people. It’s like these people, too, are stopped in time. This setting brings me right back to PS1, its first showing, with these windows overlooking the city. I was reminded of the potency of music to move you and of such a brilliant composition from Thomas Tallis which creates such an emotional release for people. Also, the whiteness of the space adds to the spiritual quality of the piece. Do you have a particular interest in old music? How was this particular piece brought to your attention? Janet Cardiff─I was recording in England and one of the singers I was working with gave me a cd of Tallis because she recognized that I liked three-dimensional sound. And that always been an interest of mine, this idea that sound is an invisible media but, at the same time, it affects you emotionally, actually going into your body in a way that something visual can’t. It’s also fascinating that you also aware of it subconsciously in a sculptural way….I immediately saw this as all around me and became so fascinated with the piece. With a lot of finesse, expertise and hard work and with the help of my husband and my producer in England, we were able to record it with the Salsbury Cathedral choir, who were not all professionals. I wanted to work with children for the soprano voices. We brought in singers from all over England for a recording session that was very intense. We had about three hours of recording material and edited it down to the price it is today. I found it very interesting, from the very beginning, to make this virtual choir of a piece from the 1500’s. I knew the piece was written in a religious context, like a lot of music then, but I really did not know that it would have the type of effect that it has on people in all these different environments. What is the best way to describe it? 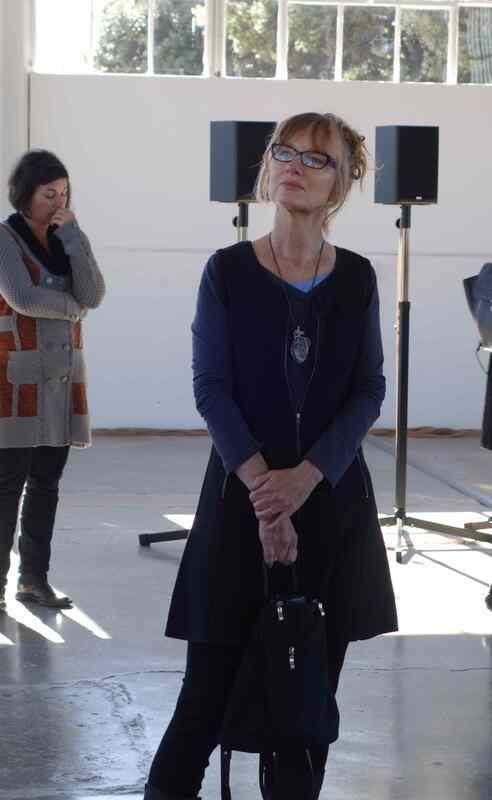 Janet Cardiff─Sound is very sculptural for me. I don’t usually make definitions which tend to limit how people might experience the work but this is an installation, a virtual choir. As a technician what does it mean to be happy with the sound in this space? George Miller─I’m pretty happy right now. 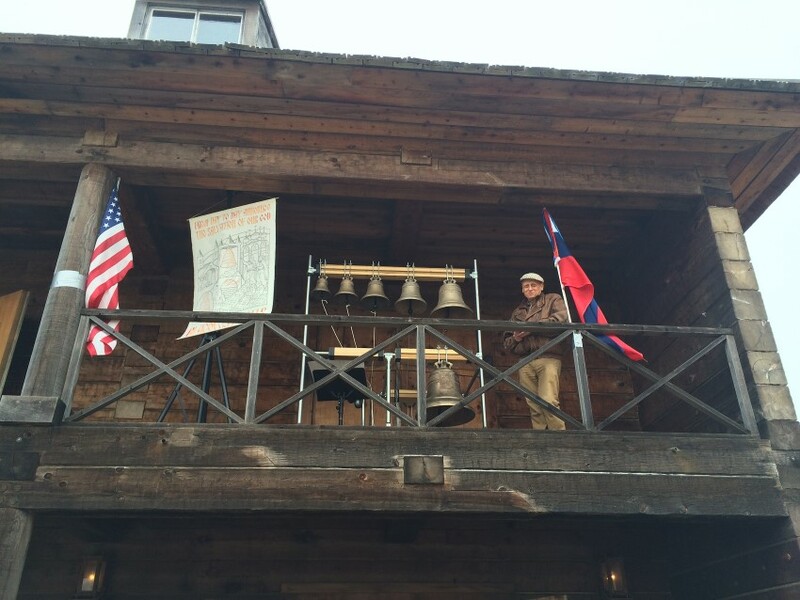 Actually, Titus Maderlechner tuned this piece, I’m just a collaborator but I used to set this up before Titus came on. Every space absorbs the frequencies in a different way so when it moves to a new place, tuning is required to make sure that it feels right, right being appropriate to the piece. At first, the bass (the lower register voices) weren’t coming through because glass in this space was absorbing the sound and they weren’t getting the presence they needed. We brought those voices up to fill the space more. The space also responded to the sopranos and sounded too harsh, so we had to work with that too. Everyone talks about the Cloisters as “the place” but Janet and Titus set that up and I wasn’t there. For me this is as good as it gets, the sound is so clear. I was tearing up and I’ve heard this thousands of times. For me, it never gets boring and it always gives me a reaction. If I don’t get that reaction, which is a tingling up and down my spine, then I know I have to make it do that. 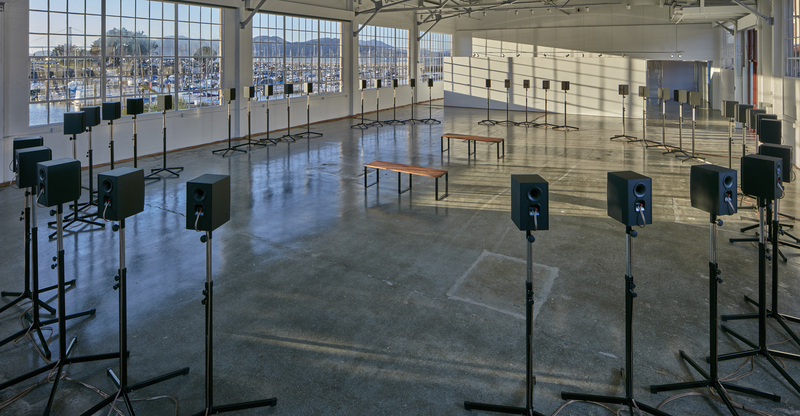 Details: The Forty Part Motet by Janet Cardiff runs through January 18, 2016 at Gallery 308, Fort Mason Center, Landmark Building A, 2 Marina Blvd, San Francisco, 94123 (Greens Restaurant is at the other end of this building.) Hours: Wednesday-Saturday: noon to 8 PM; Sunday: 11 AM to 5 PM. Closed: Thanksgiving, Christmas Eve, Christmas Day, New Year’s Eve, New Year’s Day. Tickets: Admission is free but complimentary tickets are required for entry and can be reserved at motettickets.org. Due to high demand, visitors are advised to reserve tickets well in advance. A limited number of same-day walk-up tickets will be available to visitors throughout the installation. Follow #40PartMotet for availability. Parking: ample paid parking is available on an hourly basis at Fort Mason Center and payment is via credit card in machine. Green Music Center’s season openers are always magical but yesterday’s finale event, “101 Painists,” led by Lang Lang, was most of my most memorable afternoons ever at Weill Hall. 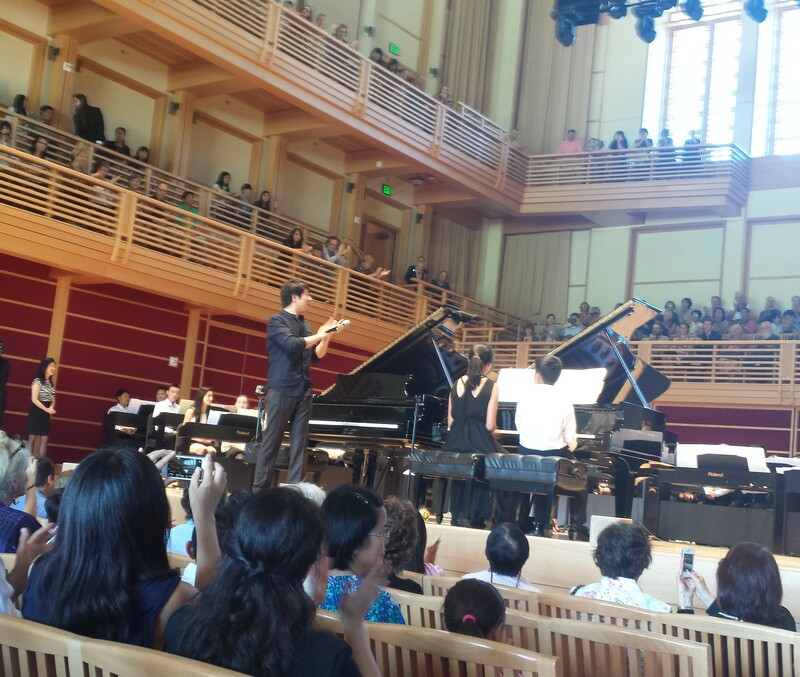 One hundred gifted young piano students, from all over the Bay Area, gathered for an on-stage music lesson and performance with Lang Lang. The piano legend, who gave the very first performance at Weill Hall in 2012, opened GMC’s 2015-16 season on Saturday evening with a sold-out concert of music from Chopin, followed by a gala reception and dinner. Sunday’s finale concert, though, was all about kids and musicianship and giving back. 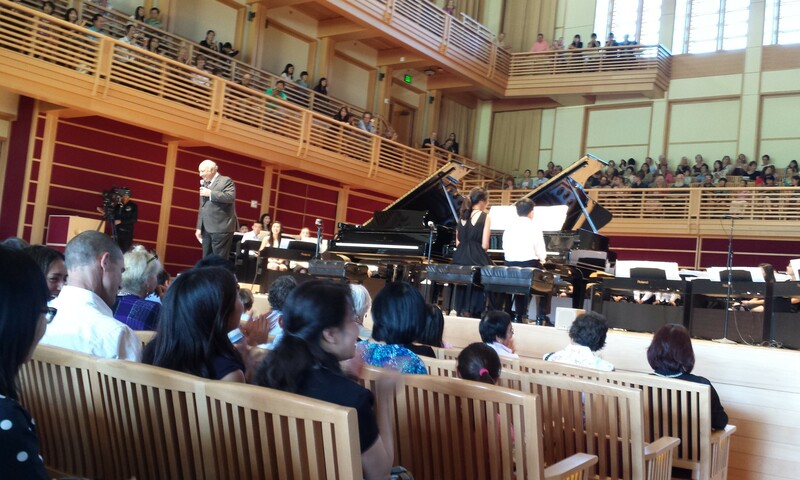 Packed to capacity with families and scampering kids of all ages, Weill Hall was hopping as we experienced Lang Lang inspiring the next generation of young musicians with his passion, humor, and undeniable gift for communication. After initial preparation with their local music teachers, the lucky 100 young pianists, sitting two to a keyboard, perfected and performed Schubert’s “Marche Militaire” No. 1 and Brahms’s “Hungarian Dance” in F sharp minor. Since its launch in 2009, “101 Pianists” has been presented in global cities from Amsterdam to Kowloon, to Rome to Washington D.C.. Rohnert Park is the 14th participant to date and 1400 young pianists have participated so far. The program allows students of the solo piano to enjoy the social nature of creating music as an ensemble. In between the rehearsal and performance portions of the two-hour session, Lang Lang took questions from the students and responded thoughtfully about his favorite music, his practice routine, and how to infuse music with emotion. He revealed that he began playing at age two and a half and had a rigorous rehearsal regimen─ six hours a day on weekdays and longer on the weekends. Now days, though, he practices 2 hours daily, unless he’s preparing for a concert. 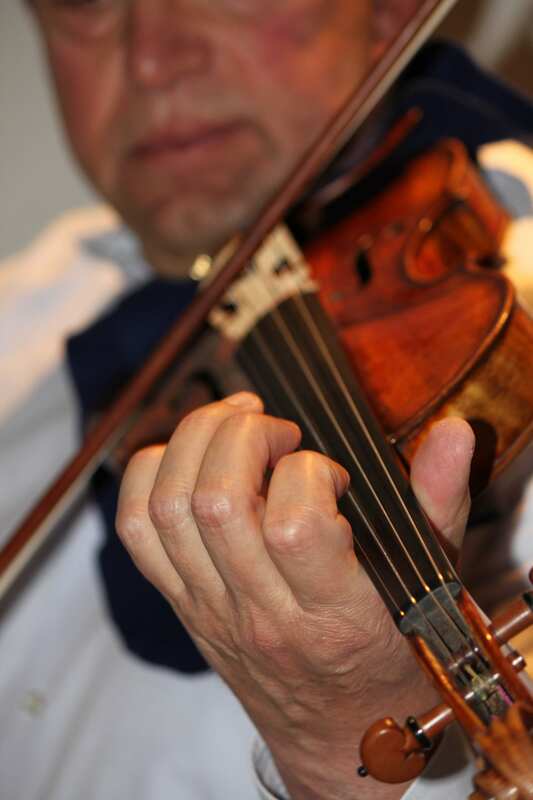 He revealed frankly that there’s no sense practicing if your heart is not in it, “best to take a break.” There’s great complexity in motivating young musicians to imbue their playing with heartfelt emotion. He encouraged parents to motivate their children with positive reinforcement, mentioning Transformers (toys) and candy. Many of us recall the relentless pressure that Lang Lang’s parents placed on him at a very young age to succeed. Lang Lang, now 33, seems to have digested that and is trying to inspire a passion for playing with much gentler methods. And, as a teacher, he is gifted─within minutes he helped the group work through nuances in pacing, volume and pitch relationships that made a tremendous difference in their final performance. There were one or two moments of fast-handed flash but Lang was very focused on bringing out the color in the students’ playing. It was endearing to hear Lang Lang relate how, at age 17, he got his big break from GMC executive director, Zarin Mehta, whom he considers one of his great mentors. Mehta, at that time, was in Chicago, working with the Chicago Symphony, and was president and chief executive of the Ravinia Festival. Lang Lang was a student at Philadelphia’s Curtis Institute of Music. Having heard Lang Lang audition at length on a Tuesday for the following year’s Ravinia festival, Mehta called him up and asked him to return to Chicago on Saturday to play with the Chicago Symphony for their “Gala of the Century,” as a last minute substitute for André Watts. The piece─ Tchaikovsky’s Piano Concerto No. 1. Lang Lang’s intensity, delicacy, fabulous technique and absolute control through those unforgiving tempos in that performance launched his career. Lang Lang has also long been championed by Joan and Sandy Weill, who met him in 1999, when he was 17, and gave a stunning performance at Carnegie Hall for significant donors. Over the years, they have become musically and philanthropically entwined and have become friends. Since 2008, Weill has been on the board of the Lang Lang International Music Foundation and it was Lang Lang who convinced him to invest the money ($12 million) that finished the concert hall that was ultimately named Weill Hall. Lang Lang also suggested that Zarin Mehta would be perfect for the executive director position at Weill Hall. 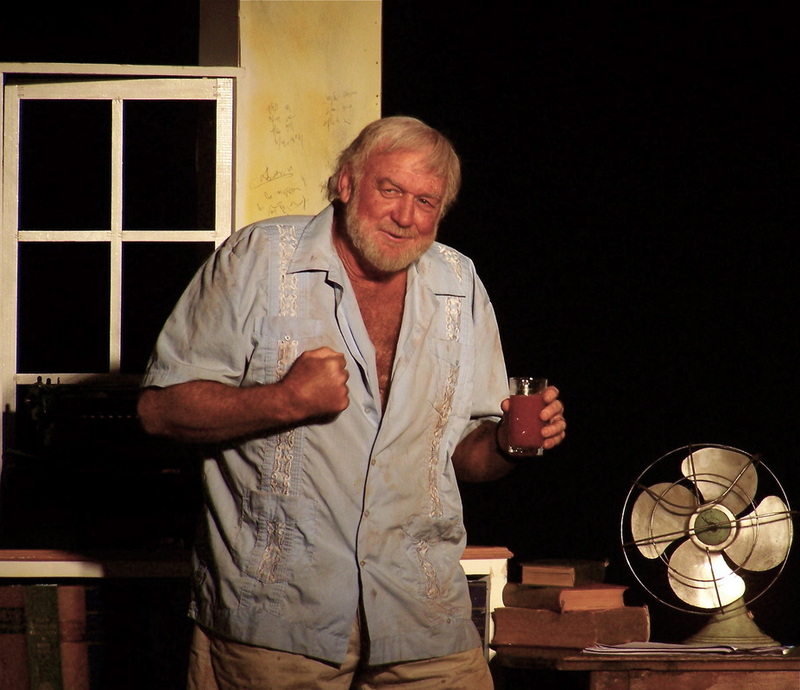 The afternoon was also a great success in audience building. Afterwards, there were lots of kids asking their parents if they could come again and the season brochures were flying off the stand. Now Smell this─ This past January, Lang Lang launched his first fragrance, “Amazing Lang Lang,” for men and women (90 to 100 Euros and initially available just in Europe). I didn’t get close enough for verification but the two scents apparently share notes (pun intended) of jasmine, kyara wood, and pepper. It’s old news by now but, after two seasons of glorious performances at Green Music Center (GMC), San Francisco Symphony (SFS) is not returning to Weill Hall. Our loss. The reason, straight from SFS—despite the best efforts to build an audience for the series, attendance was very inconsistent and did not build to a level that could sustain further appearances at Weill Hall. I can’t understand how we in the North Bay let this slip through our hands as every SFS performance in Weill Hall was magical, not to mention incredibly convenient. SFS’ final scheduled concert at Weill Hall is this Thursday, “MTT Conducts Bartók’s Concerto for Orchestra,” a wonderful mix of challenging classical and contemporary music featuring awe-inspiring solos and the famed MTT (Michael Tilson Thomas) at the helm. SFS Concertmaster Alexander Barantschik and Principal Viola Jonathan Vinocour will solo in Mozart’s “Sinfonia concertante for Violin and Viola.” Then, SFS will perform Bartók’s brilliant five movement “Concerto for Orchestra” in which each section of instruments solos. 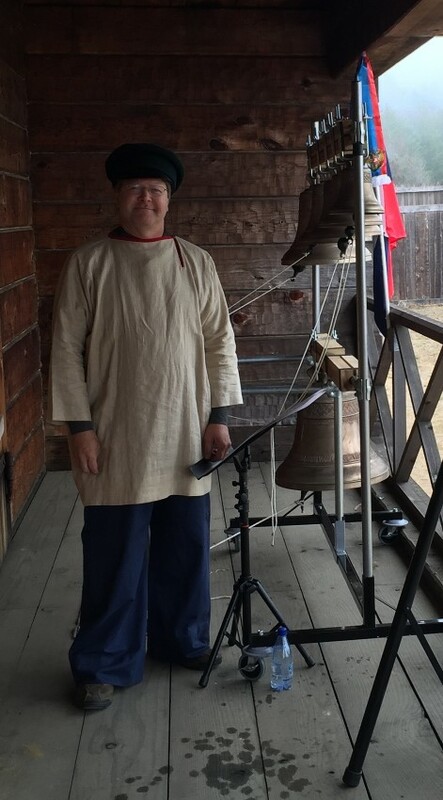 Rounding out the program will be Samuel Adams’ six minute “Radial Play,” which was commissioned by Carnegie Hall and premiered by the National Youth Orchestra in July 2014. Adams, who lives in Oakland, is the son of composer John Adams and photographer Deborah O’Grady. 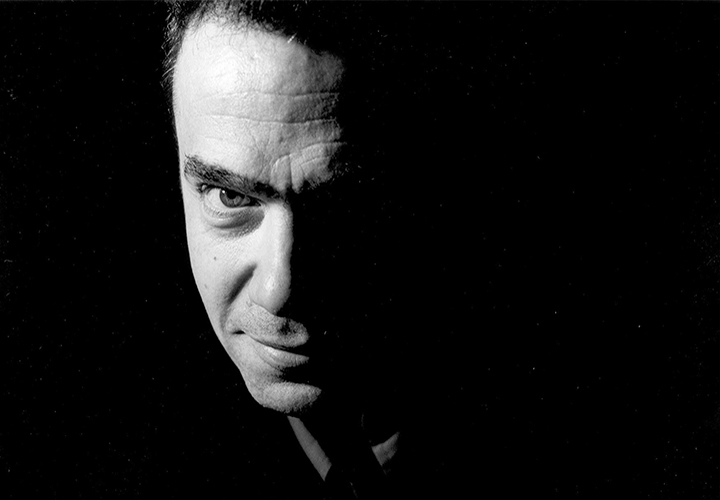 His modern “Drift and Providence” was performed at Weill Hall in 2012 and his career has been championed enthusiastically by MTT. ARThound is particularly excited about the “Sinfonia concertante,” which Mozart composed in 1779, in Salzburg. Violists, who have been somewhat shorted in showcase repertory, have long sung the praises of this piece as the closest Mozart came to writing a viola concerto. 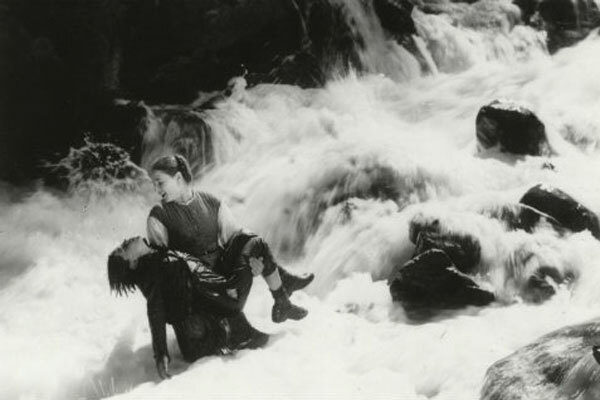 The 30 minute piece is scored in three movements with very prominent viola and violin solos and is one of Mozart’s more recognizable works, showing up in several movies and even in William Styron’s famous novel Sophie’s Choice (when adult Sophie, who is plagued by PTSD, hears the “Sinfonia concertante” on the radio, she is transported back to her childhood in Krakow). 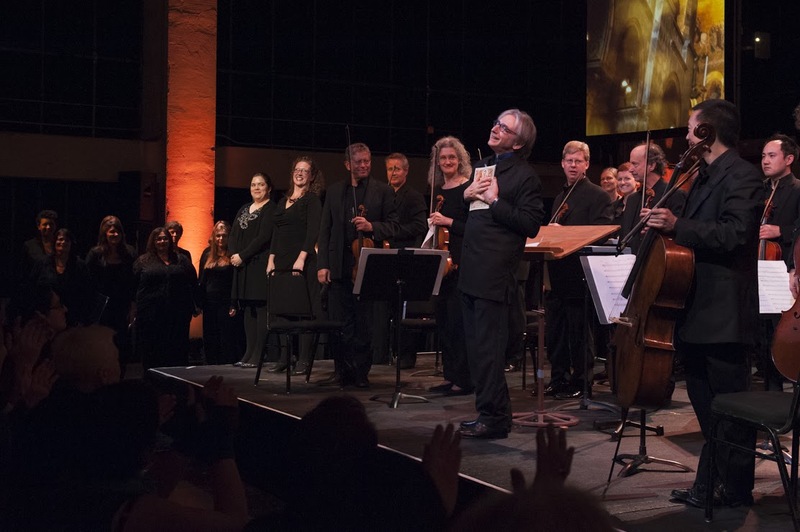 For more insight, ARThound turned to San Francisco Symphony violist Wayne Roden of Cotati, who auditioned for the SFS with this Mozart piece in 1973, 42 years ago. 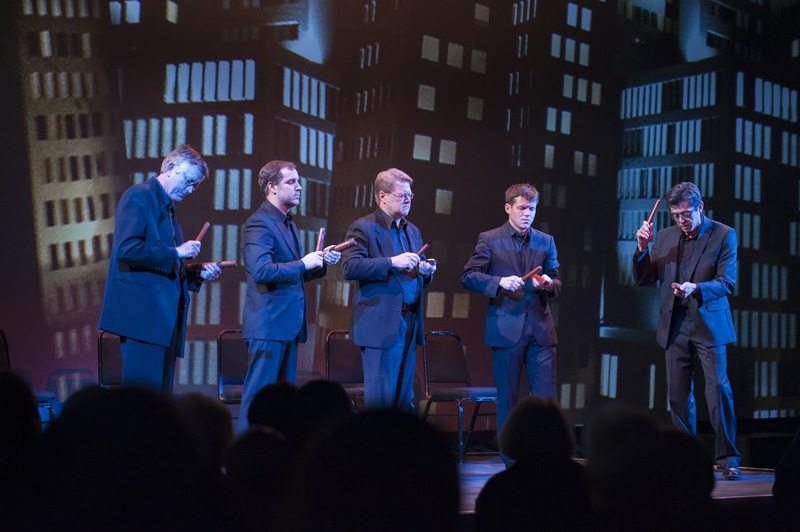 By the way, few will lament the loss of SFS at Weill Hall more than SFS’ three Sonoma County musicians (Roden, percussionist Tom Hemphill and bass player Chris Gilbert) who were saved the grueling commute to and from Davies Hall when SFS performed in Sonoma County. Details: SFS will perform “MTT conducts “MTT Conducts Bartók’s Concerto for Orchestra” at Green Music Center’s Weill Hall on Thursday, May 21, 2015, 8 PM. 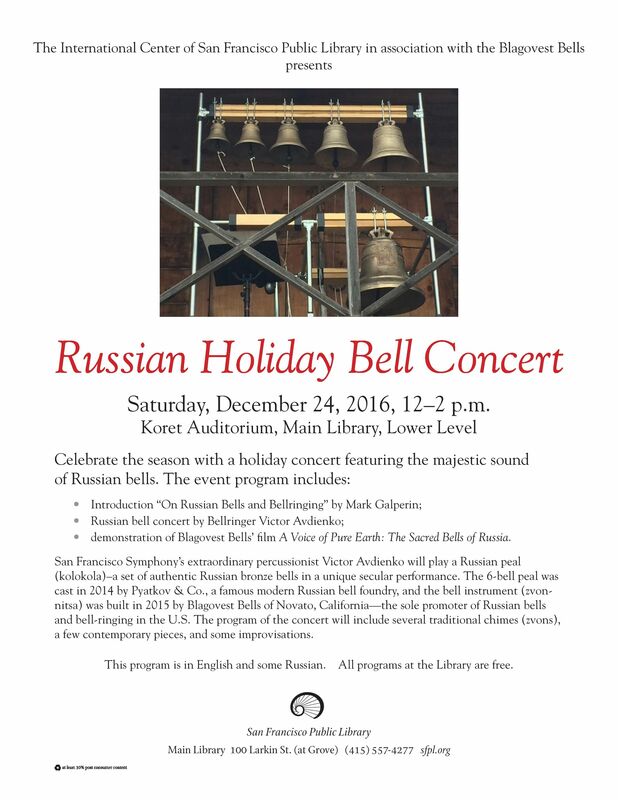 Tickets: $20-$115, at sfsymphony.org or 415-864-6000. 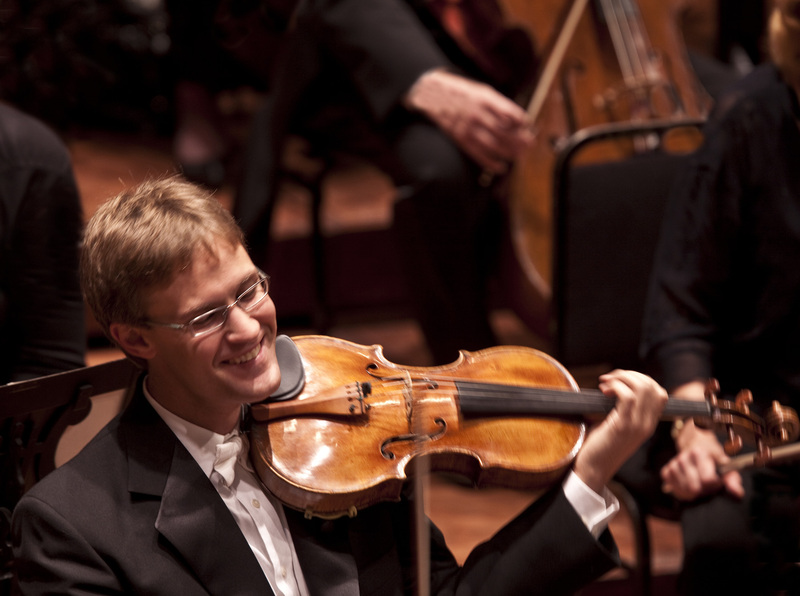 To read ARThound’s interview with SFS Concertmaster, Alexander Barantschik, on his January 2014 performance at Weill Hall, where he performed Mendelssohn’s “Violin Concerto in D Minor,” click here. A free podcast about Bartok’s Concerto for Orchestra is online at sfsymphony.org/podcasts.